Police say the alleged incident took place in the early morning hours of Aug. 3 at the CVS located at 3110 Route 38. According to the Mt. 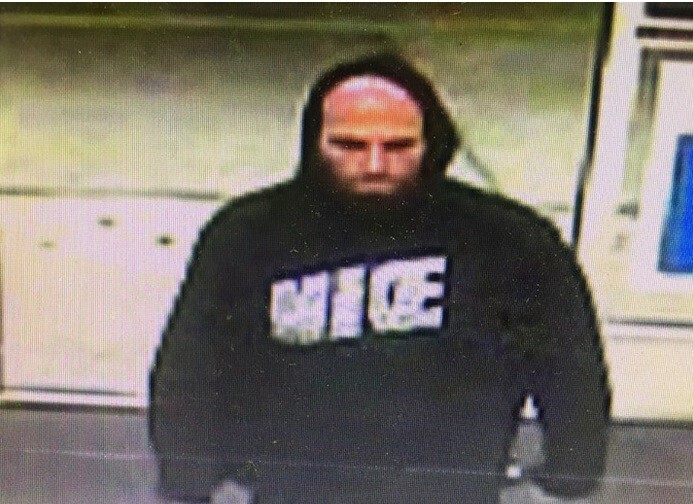 Laurel Police Department, at 3:35 a.m. on Aug. 3, the suspect pictured here allegedly stole $150 worth of merchandise from the CVS located at 3110 Route 38. Police say he was described as a heavy-set male, with short hair, an a beard. According to police, he also wearing a black hooded sweatshirt with the word “NICE” written across the front. If anyone can identify the suspect or has information concerning this alleged crime, police ask citizens to contact the Mt. Laurel Police Department.